This beautiful dresser is an elegant piece for any room. The textured grain look adds a outdoorsy luxury feel to your bedroom. 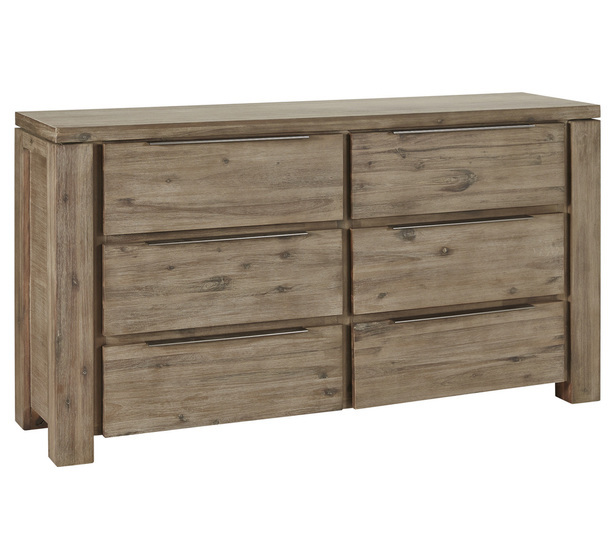 With 6 drawers you have plenty of space for clothes or linen to keep your room beautiful.